What can we learn from the success of Federer at Wimbledon, the dominance of Tiger Woods and the ups and downs of English cricket? People have drawn parallels between sport and business for years but their focus has mostly been on teamwork and motivation. These are important but I’ve tried to look for some deeper connections between these two worlds to provide some practical tips for business leaders. This is the basis of an 80 page guide I've written aimed at businesses large and small. The basic premise of '7 Pillars...' is that by embracing competition, extolling the virtues of developing potential and highlighting the role of psychology in performance, sport can teach us valuable lessons. Muhammad Ali’s rope-a-dope tactic during his fight against George Foreman in 1974 was a brave strategy but the ‘Rumble in the Jungle’ showed Ali’s tremendous self-belief in the face of doubters. Or take Jonny Wilkinson, he visualises his outcome before he executes a penalty kick. Top athletes work hard to develop new skills whereas most businesses expect employees to learn how to sell by attending a seminar! The recession has made things more competitive and some players face relegation. But that creates an opportunity for those willing to adapt and outwit the opposition. Many years ago, a young American footballer complained to one of his team mates that the coach was forever on his back, always giving him a hard time. His colleague replied that the only reason the coach was on the boy’s case was that he thought he had some potential. If he didn’t feel you had something, he’d just ignore you. The point is that it’s a huge compliment to have a company want to invest in you. They see some potential. You should embrace it. Develop a thirst for learning and a curiosity to learn about yourself and your capabilities. Roger Federer doesn’t book his own flights, accommodation, car hire and travel insurance. He’s far too busy doing what he gets paid for – playing tennis! This is where he creates VALUE and in business you’ve got to look at it the same way. It’s a common problem faced by people who excel at something (sculpture, baking bread, photography, design) and decide to go into business. Soon enough you’re burdened with accounts, insurance, health & safety, telephone systems and employment law. Or you might decide to cut costs by getting rid of the contract cleaner and doing the work yourself. All these things distract you from the value-producing element of what you do. It’s something the time management consultants remind us to ask ourselves – is this the best use of my time, right now? 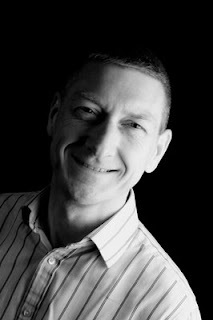 Andrew Thorpe is a former Ryder Cup referee, now a business speaker and communication skills trainer based in Macclesfield, Cheshire. Copies of The 7 Pillars of Sporting Success: and how to apply them in business are priced at £4.99 and are available direct from the author.